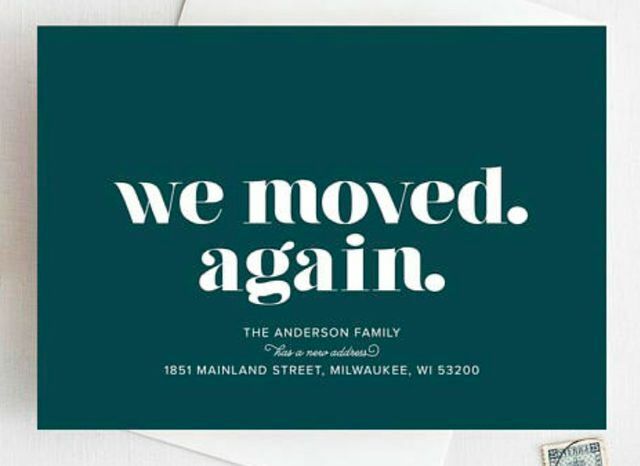 Moving announcements are just one of those things you have to take care of—otherwise how will people know where you live? Sure, you can just do a mass email to all your friends and family. Alternatively, you can show off your wild creativity with one of the far more memorable moving announcements below. Odds are, one of them sums up your own style or sense of humor to a tee. It’s time to break out yet another new Rolodex card. 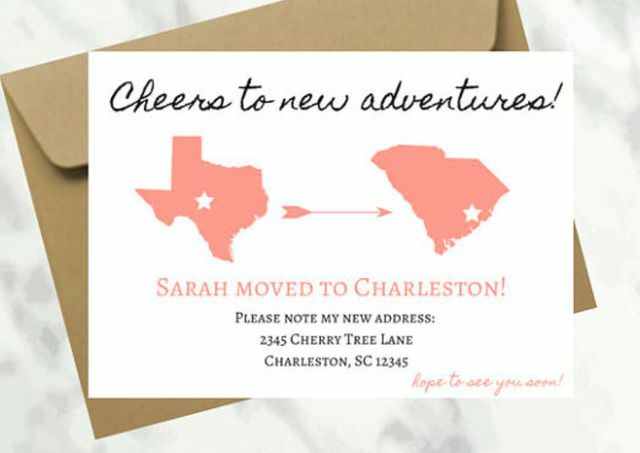 This hilarious card ($6.50, Etsy), which comes as a printable download, lets friends and family know that yes, your entry in their address book looks like a confused jumble of crossed-out streets and cities. And that while you’re sorry about that, you’d still enjoy a holiday greeting (or a housewarming gift). Burn your new coordinates into their memory. 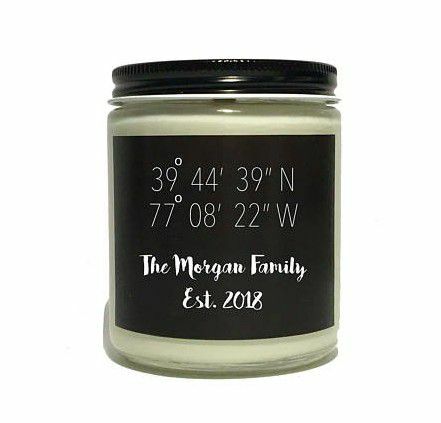 If you want to go all out, send a moving announcement in the form of a soy candle ($16, Etsy) in a calming scent with your latitude and longitude printed on the label. Just remember, 39° N is not a USPS-approved mailing address. Dancing with boxes on your head is not recommended. 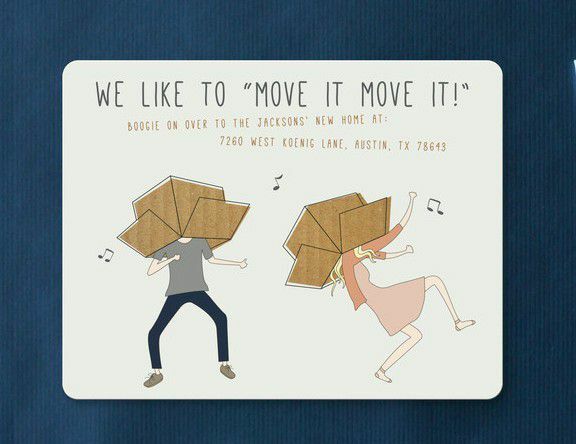 Show people all that packing and unpacking all those boxes hasn’t dulled your sense of humor, or slowed your dance moves. 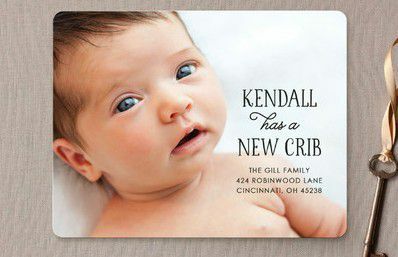 These cards (85 for $132, Minted) can also be custom-printed to include a family photo on the other side. Let friends know they are still welcome. When real estate agent Monique Harps moved, her priority was letting potential visitors know they still had a warm bed to stay in. 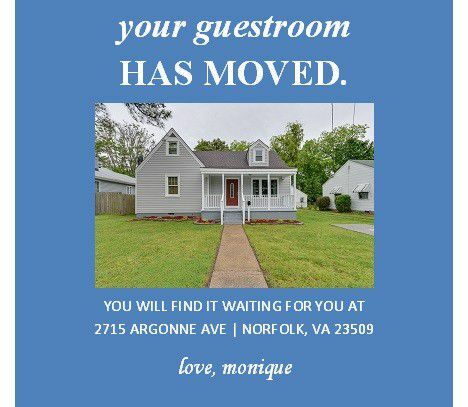 Her process was simple—a friend took a photo of her new home, then she designed the template and emailed or texted the announcement. Here’s to hoping recipients call first before they come a-calling. Steer people to your new location. This printable postcard ($16, Etsy) comes in colors ranging from “bumblebee” to “flamingo” (clearly, this designer loves animals). Meanwhile, this card shows off your own cornball sense of humor. Let friends know you care about their fingertips staying warm. 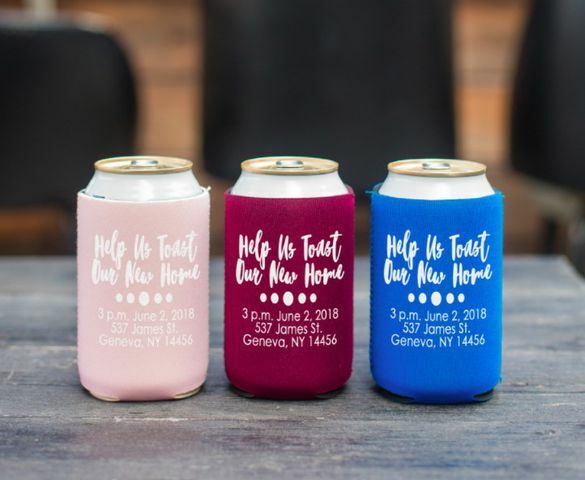 Instead of sending cards, simply order a collapsible can cooler personalized with your new address and a phrase like “Help us toast our new home!” ($3.71 each per order of 25, Totally Promotional). This lets your old friends (and new neighbors) know you care about them down to the temperature of their beverages. It also leaves no room for anyone to make excuses about losing your mailing address (not until they run out of beer, anyway). The time zones they are a changin’. If you’re moving between any states in the union, why not give people a visual representation of your new boundaries? 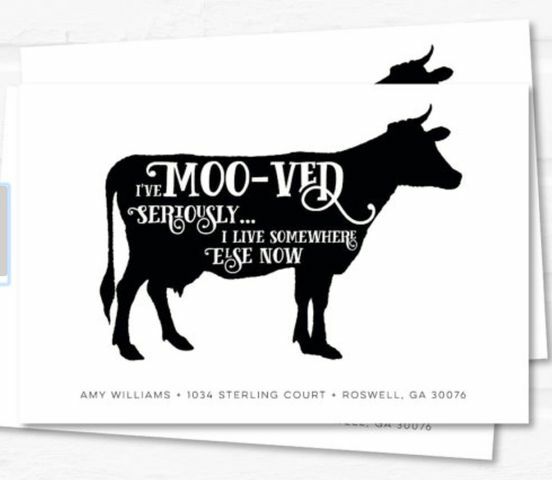 This instantly downloadable PDF ($5, Etsy) can be customized with any state from Alabama to Wyoming. 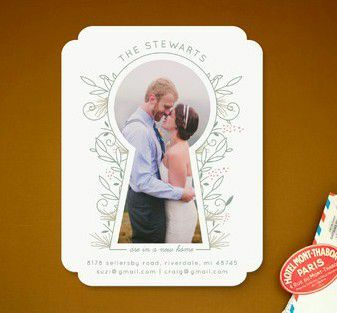 The keyhole cutout makes this adorable card even cuter. Give everyone a peek into your home life with this “Love Is Key” ($1.92 each, Minted) moving announcement. Each greeting is fully customizable, so if you want to show a picture of what really goes on in your not-always-picture-perfect life through the keyhole, that’s an option, too! Baby, it’s time to move.